The state of Oregon has been a “leader” in the euthanasia movement in America. I say “leader” in quotes because I am not sure that progress is always in a good direction (there is a fine line between progress and regress). That is an inherent problem with the “progressive” political movement. Just because one is progressing away from the status quo does not guarantee that the movement is good. Children sometimes move away from their parents in crowded parking lots, and the results are not good. The question is whether Oregon’s leadership in the euthanasia movement is a good thing. I happen to think it is not. A recent phenomenon has emerged with a dying man in Oregon. According to this news report, the man has become an internet sensation through Reddit and Youtube, as he has chronicled his own death and invited others along for his final ride into eternity. Lucidending—the username of the dying man—has posted a video which has been viewed more than 75,000 times concerning his death. His Reddit statistics are among the top 10 all-time, making him an internet sensation. 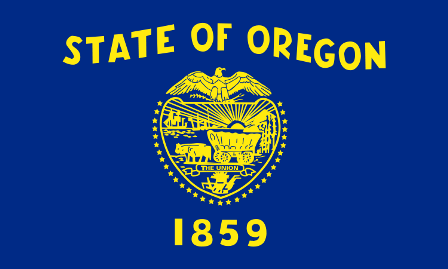 Lucidending does not represent a good ending for Oregon’s “Death with Dignity” laws. These laws are purportedly designed to increase human dignity through the process of death, but they end accomplishing just the opposite. And here is why. Before passing such laws, the general disposition of the state was to uphold the value of all human life. After passing the law, the state surrendered its high ground on the value of human life by joining with the forces of death, which whisper in the ears of the sick, the handicapped, the bed-ridden, and the elderly, telling them that their lives are worthless because they cannot contribute, telling them further that they ought to go ahead and die. Indeed, these laws affirm for them not only that they should die, but that they should die quickly—even if it means killing themselves. This surrender to the forces of death by the state of Oregon is an action which diminishes the value of human life, even though, admittedly, it was designed to preserve “dignity.” But dignity is a non-descript term; it can morph into whatever meaning its speaker assigns to it. It is not a fixed concept. So, someone can kill himself instead of suffering and call that dignified. Others assert that dignity is found in suffering well, drawing a family together with loved ones to the end. Regardless of who is right and who is wrong in that debate, the conclusion of the matter is still found in the fact that Oregon has not increased dignity, but, rather, has diminished all human life by saying that some people are better off dead. It is very sad to me that so many people have cheered this poor man on to kill himself, even though he has admitted that he is terrified of dying, not knowing what lies beyond death. To wrestle with the implications of a pro-life way to die, see this article. To see where “Death with Dignity” thinking ultimately leads, check out this article. I am sure you have heard of this story by now, but it is worth considering the case of the Belgian Rom Houben’s incredible recovery. Actually, if you know the case, then you know that he has been aware of his surroundings all along. For 23 years, he has been called a vegetable by the experts; yet, he has been aware of conversations about him, aware that his father passed away. His body simply would not allow him to respond in any way. Now, an expert has devised a way for him to respond. For 23 years, the doctors were wrong about calling him a vegetable (PVS). How many others were misdiagnosed? Terri Schiavo? Could we please decide from this point forward to call (and treat) humans, humans. Call vegetables, vegetables. Bloomberg has an article based on an April interview with President Obama concerning end of life medical decisions. In the article, Obama says that he would gladly have paid for his grandmother’s hip replacement himself; yet he found the decision for her to have a hip replacement troubling. He labeled the decision “a difficult moral decision.” He did not mean “a difficult moral decision” for his grandmother. He meant for the healthcare industry. Obama seems to think it might be immoral to offer someone with a terminal disease a hip replacement. Underscoring this line of reasoning, he makes a couple of follow-up statements which are indeed chilling. When you couple such reasoning with the hard economics of deficit spending, you get fear from the elderly and fear from anyone who loves the elderly or terminally ill. Add to these fears the necessity to cut $500 billion from Medicaid, and you get a clear picture of the future of American healthcare. And the picture is not a pretty one at all. If you love your grandmother or your uncle who has cancer, you will want to fight Obama’s healthcare reform. I link a blog here which describes two different stories concerning our pro-choice culture. In the one story, a woman dies after drinking anti-freeze. In the other story, a man loses his arm. In both stories, the medical community is unsure of how to respond to people in need. It seems the freedom to choose is paralyzing the healthcare industry. Yet another downstream and destructive effect of abortion. This article tells the story of a many who murdered his wife. There is a consistent pattern at work here with abortion. I think it shows in the deplorable decision handed down by this judge. This is murder, plain and simple. This is atrocious, and it shows just where we are headed in terms of devaluing human life. When usefulness is over (defined by us), then kill. Or, in concert with abortion thinking, when inconvenience arises, kill. That is all that happened here, and the judge is obviously clueless. Scientists have become rather free in their attempts to do something novel with embryonic stem cells. I am linking an article here from Dr. Jones (not the movie guy; in fact, not a guy at all), where she argues for prudence in the practice of parthenogenesis. The article is a bit technical, but it is helpful since she makes the argument that trying to define humanity along the lines of “viability” is dangerous. If there is a point at which a human entity is considered “not a human being,” then, at that point, we might still be able to destroy it or experiment with it for purposes we think are good. She points out in this article that taking such an approach would lead to more killings of babies considered genetically imperfect. Why not experiment on the sick and elderly once they are no longer viable on their own? One of the fascinating realities of our post-abortion mindset is that we will defend the protection of an eaglet (not a viable entity on its own) but refuse even to acknowledge the human nature of a human being in development. I have linked a story here to give you an idea of just how highly we value eaglets (non-viable on their own) and eagles’ nests. If only we valued developing humans and the womb as much! For a philosophical consideration of the issue of viability, see this article. The whole death with dignity movement is tied to abortion. Since when has death been dignified? We are on the side of life, not death. Death is the enemy–the last enemy to be undone by the Resurrection of Christ. There is an inextricable link between abortion (the idea that a human life at an early stage of development can be destroyed for the sake of convenience) and our present culture’s fascination with death. Where abortion was supposed to clean up the back alley butcher shops, in reality, it only moved butcher shops into mainstream hospitals and created new venues for ridding our race of “useless” and unwanted human beings. We now have doctors promoting death. The euthanasia “debate” is driven by the same death thirst driving abortion. Schaeffer and Koop told us this would soon follow the Roe v. Wade decision, and it certainly did. We have states like Oregon offering to foot the bill for “Physician-assisted suicide,” while at the same time refusing to pay for necessary cancer treatments. And, as this article points out, the natural progression from “safe, legal, and rare” abortions to actually killing any life considered “not worthy” of life is inevitable. We remember Terri Schiavo. She was a logical consequence of abortion. Sadly, the attitude that the “unfit” are disposable is taking over what used to be the honorable enterprise of medicine. Medicine which once was designed to heal is now being used to kill. Doctors which were once on the side of life seem now to side with death.